The USA’s Olympic National Park has a huge range of natural diversity. From glacier-capped mountains to rainforests with trees soaring 20 stories high and more than 75 miles of coastline, there’s so much to explore. 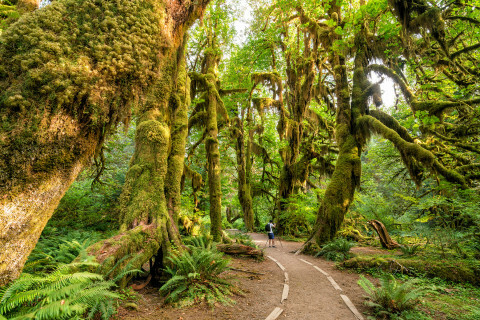 Why you should go: To experience some of North America’s most visually stunning landscapes, from remote beaches and dense rainforests to rocky mountains crawling with adventurous hiking trails, all surrounded by the Olympic National Park’s deep history. What to do when you’re there: Fish in one of the 600 lakes throughout the park or discover Hoh Rainforest with one of the many nature trails on offer. Recommended route: Want low mileage and big views? 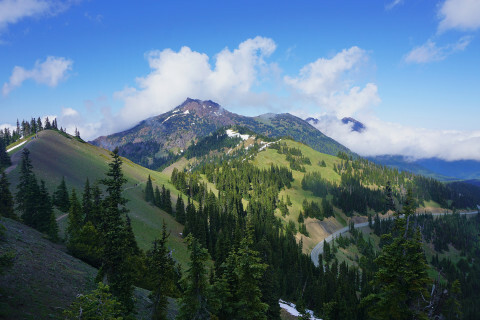 Make a beeline to the Hurricane Ridge trailhead for this 5.6 mile out-and-back route that rolls past far-reaching views on Sunrise Ridge from Backpacker Magazine. Where to stay: One of the park’s cosy lodges or cabins – choose from rustic cottages to pretty chalets. Find more here. Where to eat: Each lodge or resort has their own restaurants and amenities. 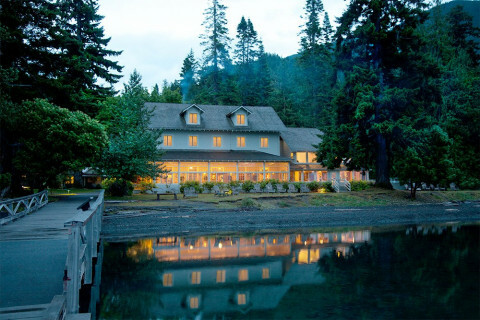 We recommend trying out the Lake Crescent Lodge for breath-taking views to accompany the creative dishes. Interesting fact: There are more than 650 archeological sites in the park – that’s 12,000 years of history for you to explore! Top tip: Visit in late September, when the days are still warm and long but the trails aren’t as crowded. Make sure to watch out for the many species of wildlife!